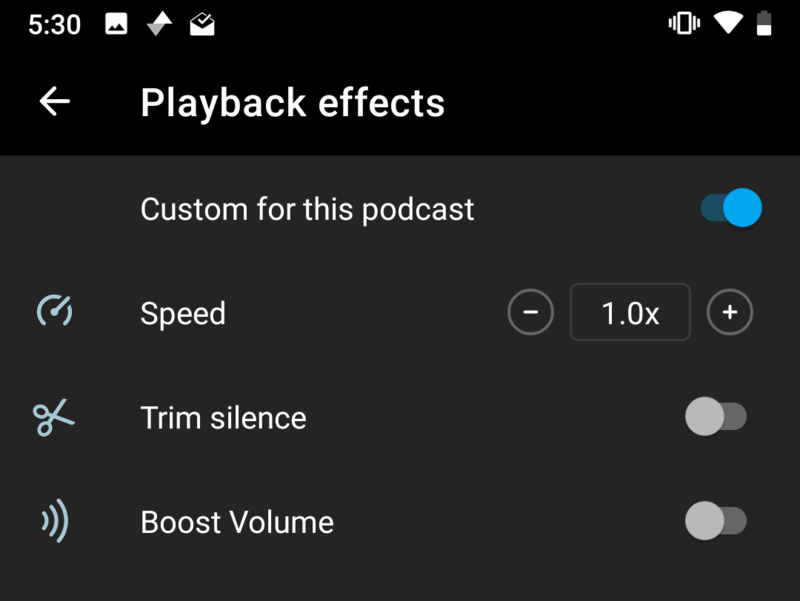 Pocket Casts features three types of optional audio effects: Playback speed, Remove silence and Volume boost. Slow down or speed up podcasts from anywhere between 0.5x to 3x. Playing at 2x reduces a 60 minute episode to 30 minutes. Removes silences from audio without altering the cadence of the host. 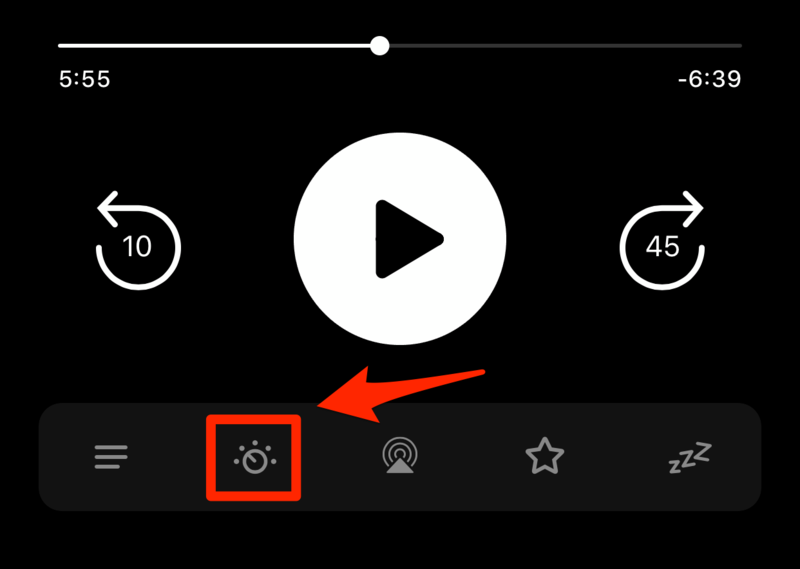 Increases the volume of playback without changing your device volume. By default audio effects settings will be saved for all your podcasts. To change audio effects on a per-podcast basis, go to the settings for that podcast and set them. To see how much time audio effects have saved you, open Settings > Stats.